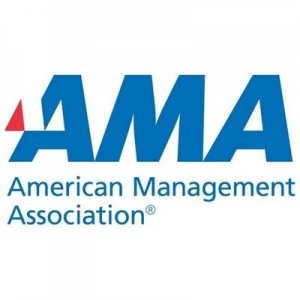 The University of Maine at Presque Isle’s Employer U program, which focuses on providing workforce development opportunities, will offer a two six-week courses this fall beginning Tuesday, Oct. 10, as part of the American Management Association’s University certificate program. The sessions will be held at the MMG Center for Professional Development, located on the first floor of Kelley Commons, adjacent to the Campus Center. Sponsored by UMPI from content developed and published by AMA’s Self Study division, the program is designed to help working professionals improve management skills needed for success in today’s workplace, according to Kim Jones, Director of Employer U. By meeting in a classroom setting with other participants from many different occupations and organizations, students are able to see how other companies handle problems similar to their own. The course How to Manage Conflict in the Workplace will be held Oct. 10 to Nov. 14 from 5 to 8:15 p.m. Participants will learn strategies and insights needed to identify, defuse, and manage tough conflict situations. Objectives of the course will include: transforming conflict into a positive, productive force, responding to on-the-job conflicts effectively, getting beyond immediate tensions and disagreements to the root causes of conflict, applying five surefire conflict resolution approaches, and adopting best practices for implementing alternative dispute resolution techniques. This course is taught by Ruth White, Regional Director of Early College for ME. Participants will earn 2 CEU’s for this course, which is required for the General Management certificate or an elective for other certificates. Fundamentals of Human Resources runs from Oct. 11 to Nov. 15 from 5 to 8:15 p.m. Participants will learn virtually every aspect of human resources from understanding basic HR functions to the latest human resource management systems. Objectives of the course will be: writing job descriptions and specifications; recruiting, selecting, interviewing, and hiring the most qualified candidates in full compliance of federal and state laws; and selecting and using a Human Resource Information System. In addition, the course will cover: developing policies and procedures manuals and employee handbooks, evaluating and implementing training and development opportunities for all employees, and creating HR budgets and strategic plans. The instructor of this course is Laurie Nelson, Human Resource Manager of Pineland Farms. Participants will earn 2 CEUs for this course, which is required for the Human Resource certificate or as an elective for other certificates. Each six-week course is $300 per person, or $275 per person for groups of 5 or more from the same organization, and meets once a week. Tuition includes textbook, instruction, and all materials. Payment is due by the first class unless other arrangements are made beforehand with UMPI’s Director of Employer U. To register, please visit https://goo.gl/forms/VYrwNM1flOJnYllB3 or contact Kim Jones, Director of Employer U, at kimberly.a.jones@maine.edu or 207-768-9459. UMPI’s Employer U program, established in 2015, is designed to provide ongoing professional development opportunities for employees of area businesses. Employer U provides dynamic, customized trainings that meet the unique workforce needs of its clients across Aroostook County, focusing on each organization’s culture, resources, and purpose. Employer U delivers program content full of immersive, hands-on experiences, and in a variety of ways that ensure participants—regardless of their learning styles—are able to understand, retain and apply the information. Existing programs, such as American Management Association certification and UMPI’s Young Professionals Institute, are delivered through Employer U, with several new offerings slated for later this year. CEU courses for educators are currently being offered, and officials are looking to add CEU’s for other professions to the growing list of Employer U programs, in addition to other industry-specific trainings.